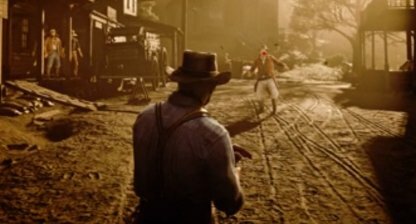 Learn about the Honor System in Red Dead Redemption 2, including how to raise & lower your honor, & what do you get when you reach certain honor levels..
How high or low Arthur's Honor would be is entirely based on your actions throughout the game. 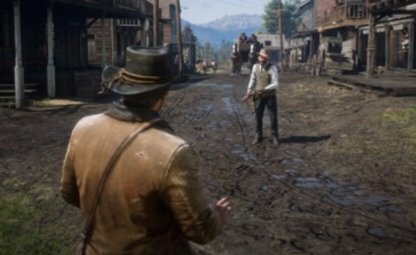 Honor then affects how people in the game would react to you whenever you roll into town. 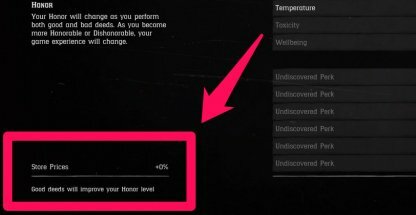 Have a high enough honor and you will received discounts in stores .This starts off a reasonable 10%, but it can go up to 50% once you get the highest level of honor. When you reach certain Honor Levels, you will received outfits as rewards. These outfits are unique and cannot be found anywhere else, so you can look good while being good. 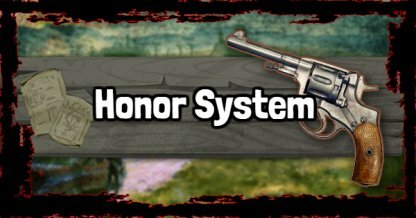 Bring down your honor to its lowest and you'll have a perk that slightly increases the chance of finding specific items in dead bodies. Useful when you're a desperado killing your way through the Wild West. Pressing the down button on your D-Pad will show your Honor Bar, as well as your current objective. The Honor Bar will indicate how high or low your honor is based on the icon placement and its color. You can also check your Honor through the Player Menu. You will find it in the generals tab and it will also indicate which perks you've unlocked for that honor level. 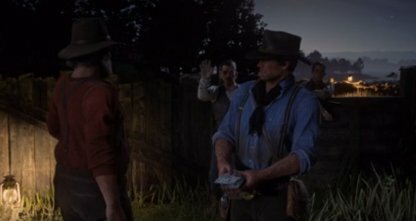 Acting like a generally good person in Red Dead Redemption 2 is a sure fire way of raising Arthur's honor. This could be done from resolving conflicts peacefully to completing jobs. Random encounters will appear as you travel through the land. Go out of your way to help out the people and you will see a slight boost to your honor. Surrending to the authorities instead of fighting back when caught committing a crime will help raise your honor! You'll have to wait a few days to get out of jail though. Just like in the previous game, a good way of raising your honor is by choosing to spare your Duel Opponents instead of killing them. You can do this by disarming them! Make sure your camp is well-fed and well-stocked and you will see a boost to your honor. There's no set amount you should donate to the camp to get a boost so it's best to do it regularly. 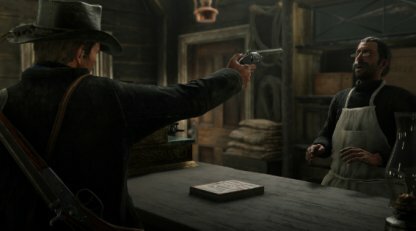 Embrace your dark side, become a full on desperado and commit crimes left and right to lower your honor in Red Dead Redemption 2. 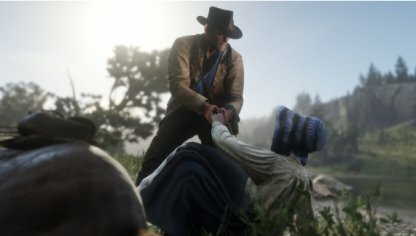 Assaulting innocent men and women will cause a drop in Arthur's honor. You will also get a drop when threatening civilians with guns. Burglaries will help you lower your honor, but at the cost of having a bounty on you head. 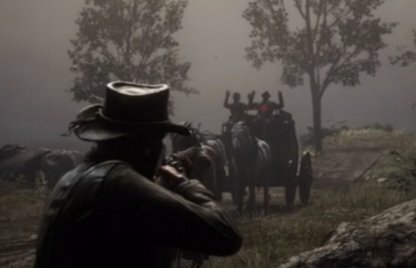 It's best to just hold up carriages on the road to make sure you don't get caught by Lawmen. 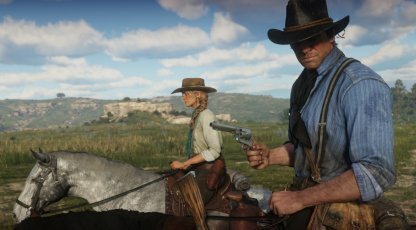 Deciding to take another rider's horse is considered dishonorable in Red Dead Redemption 2. 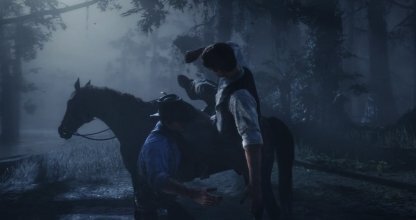 Arthur's honor will go down from doing such an act.